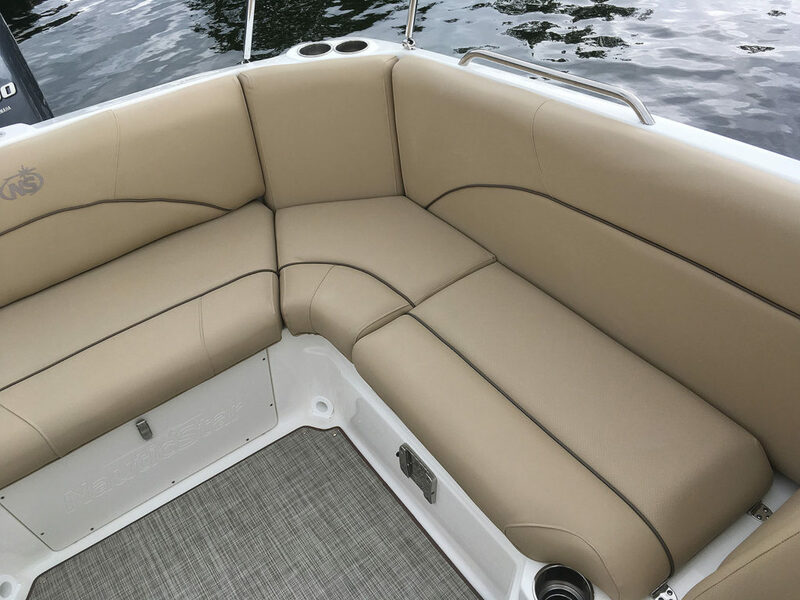 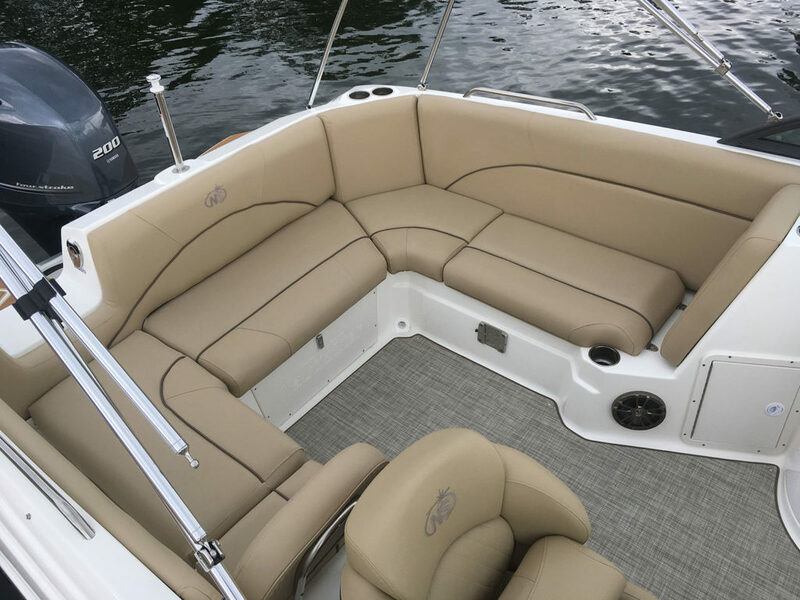 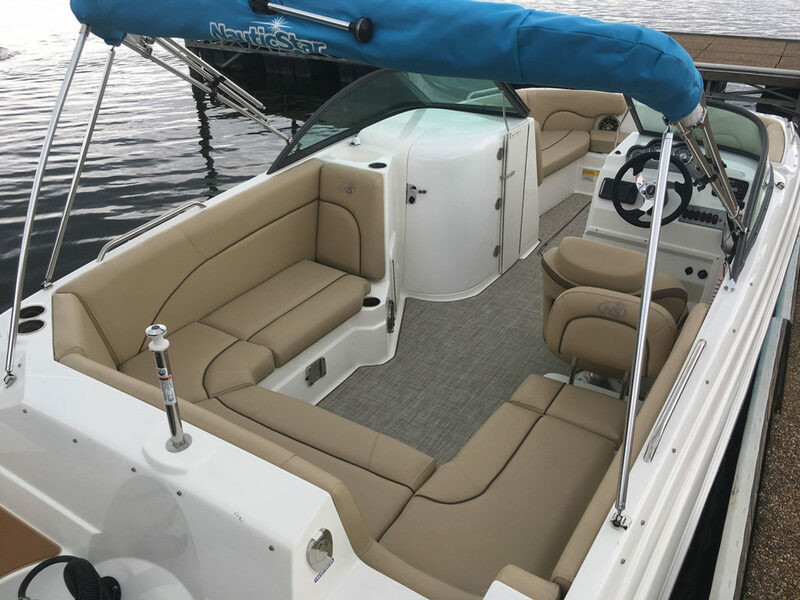 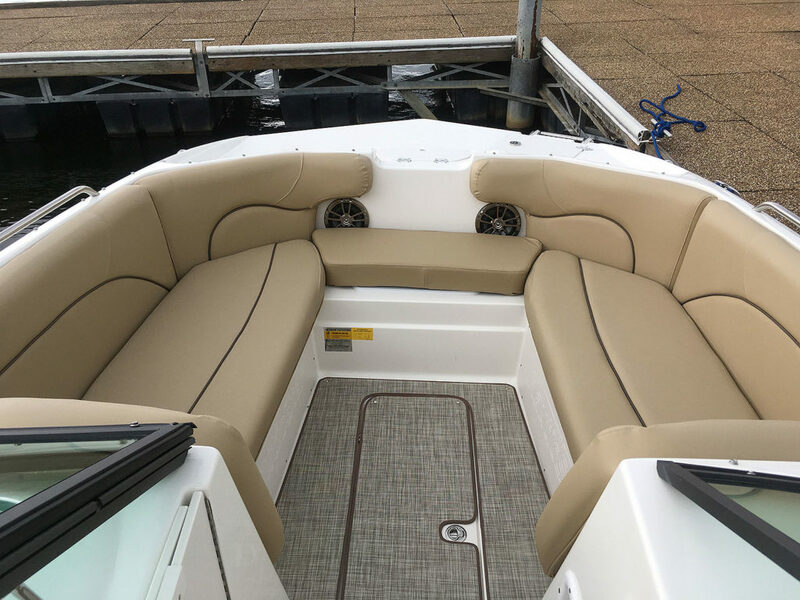 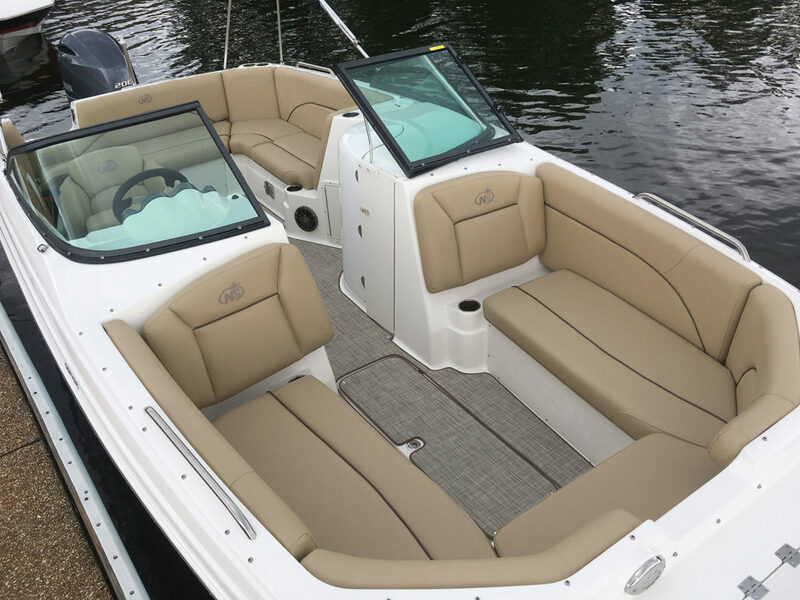 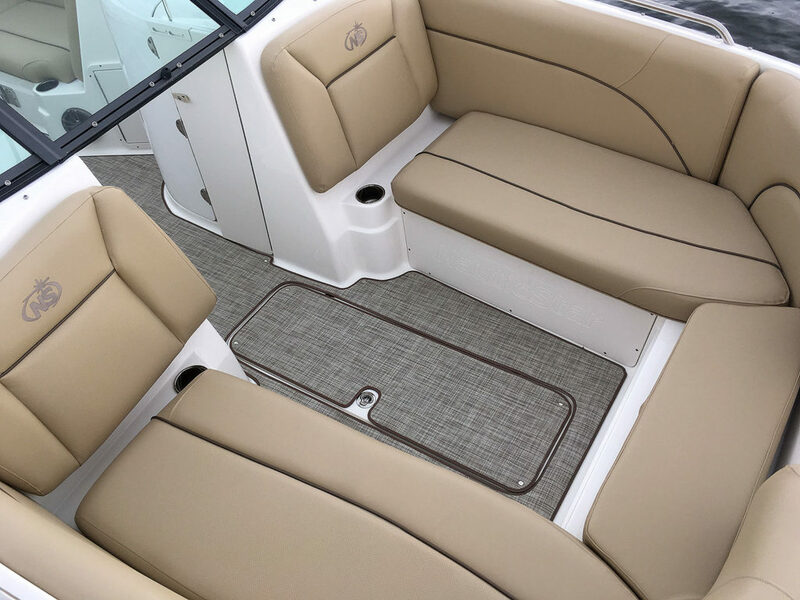 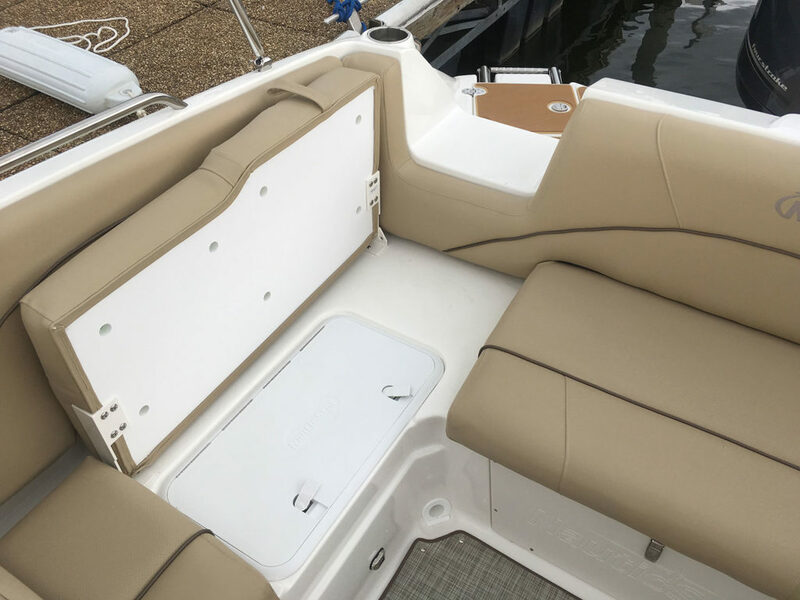 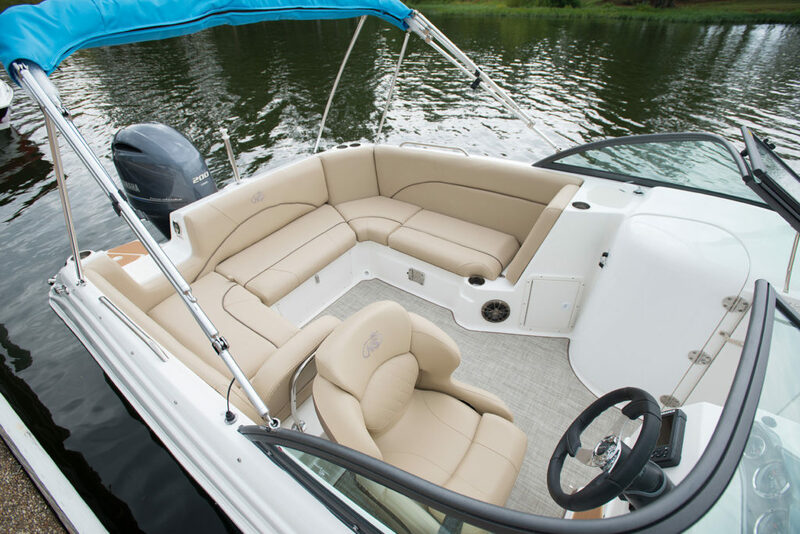 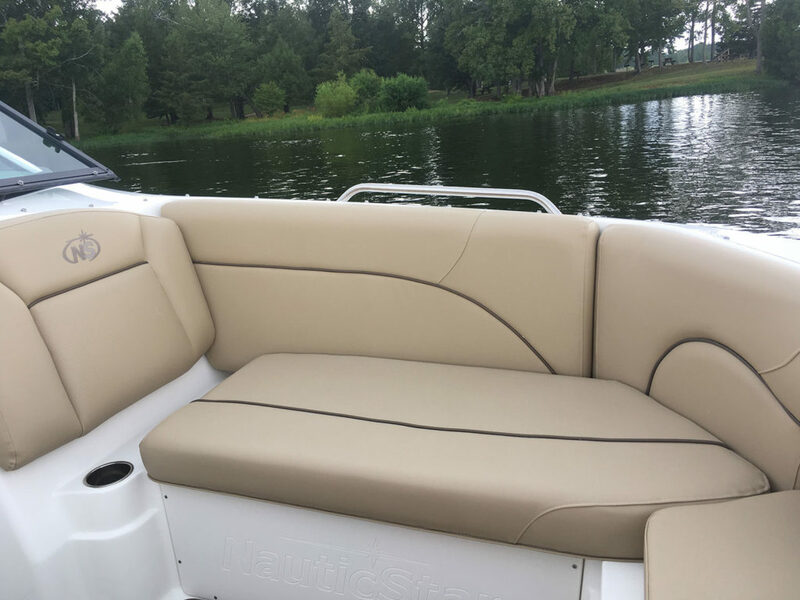 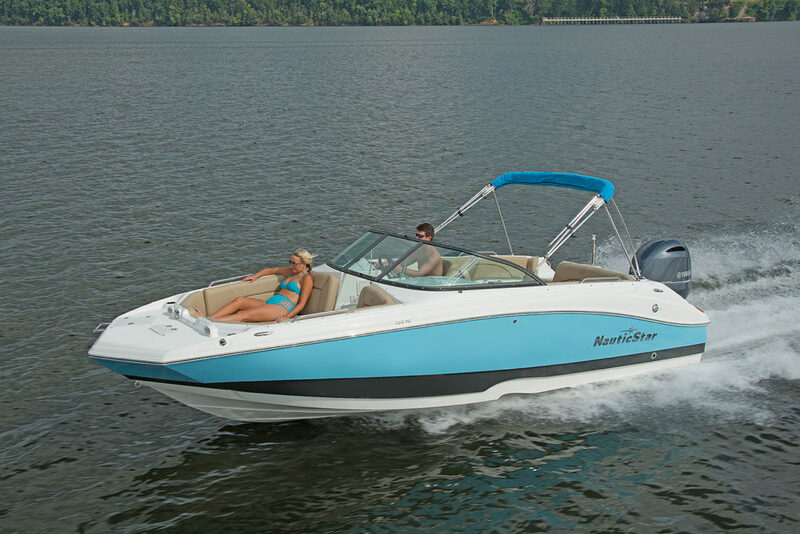 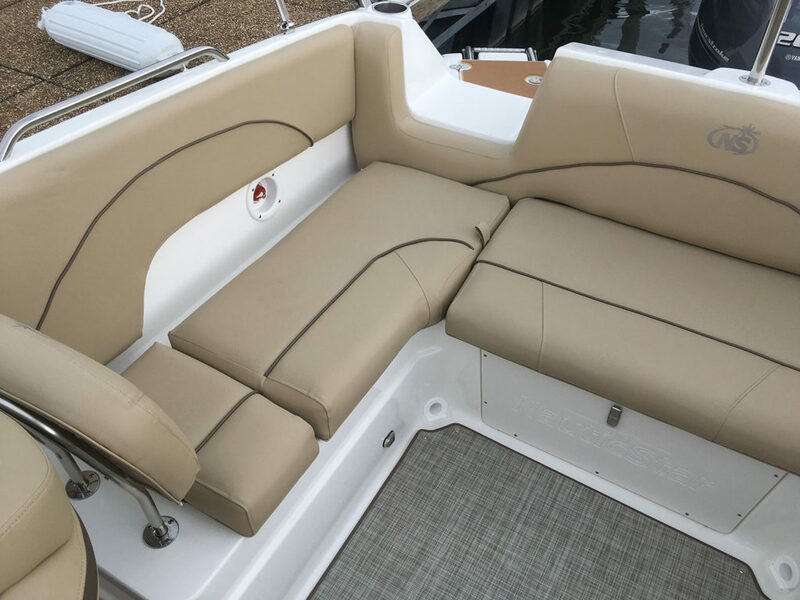 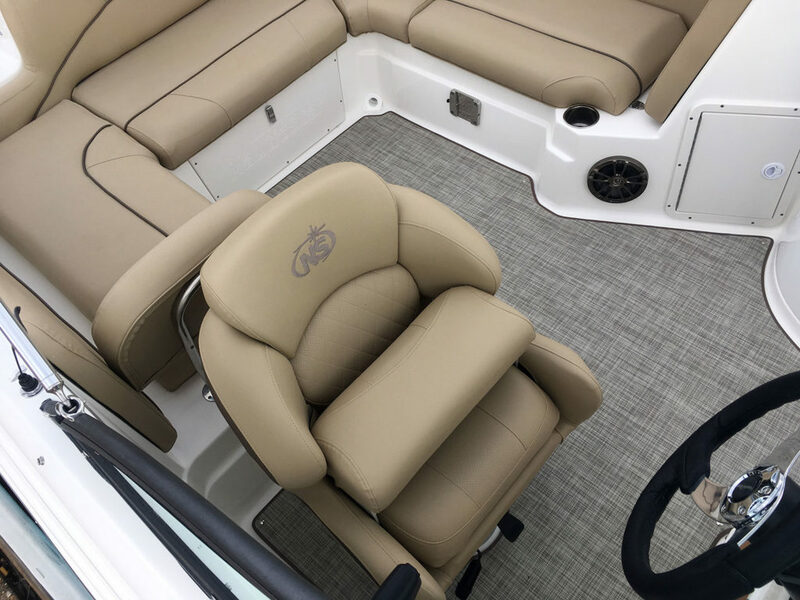 The spacious bow seating features "leathertouch" upholstery throughout. 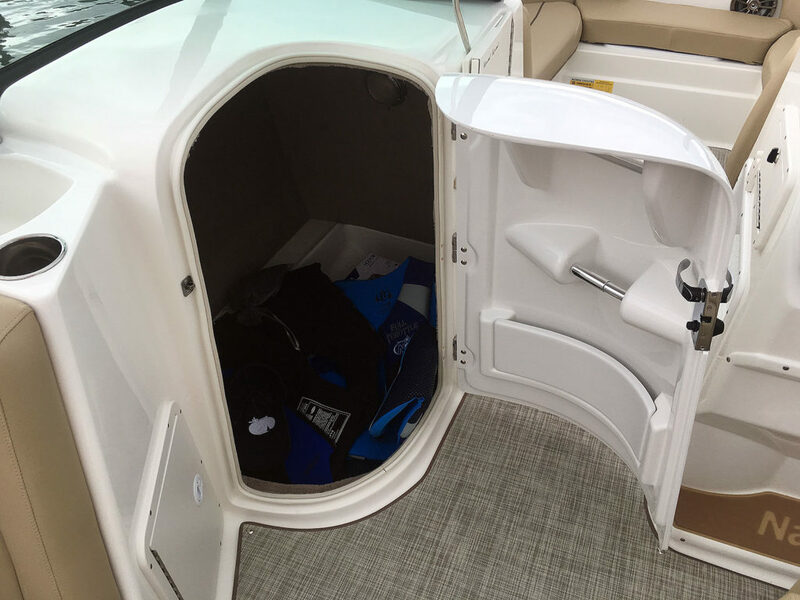 The enclosed head / dressing room can also include an optional portable toilet. 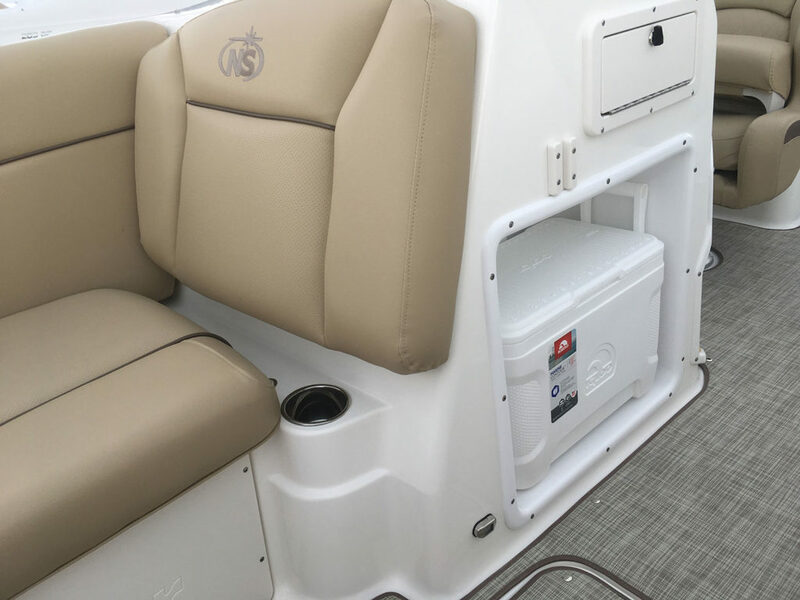 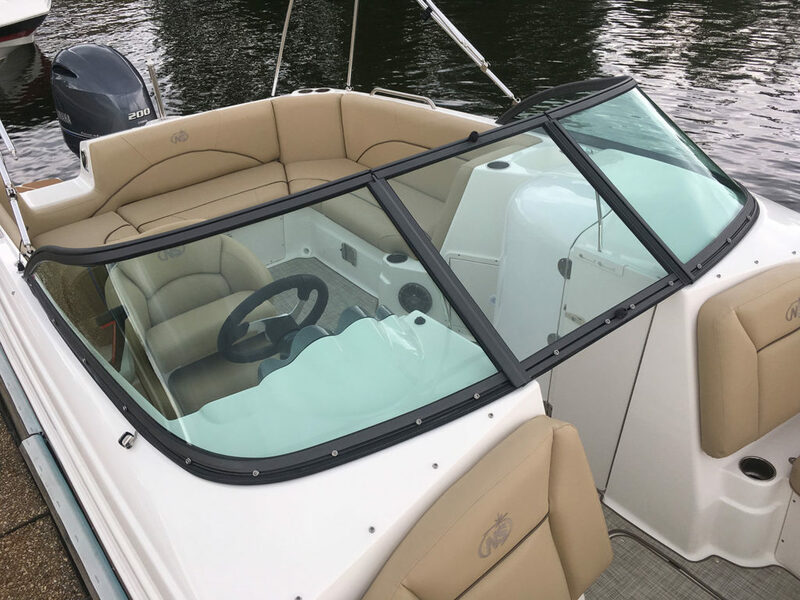 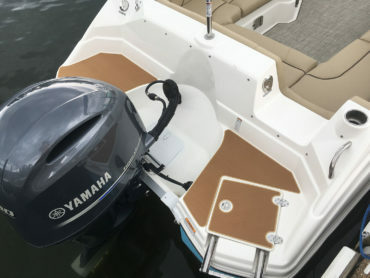 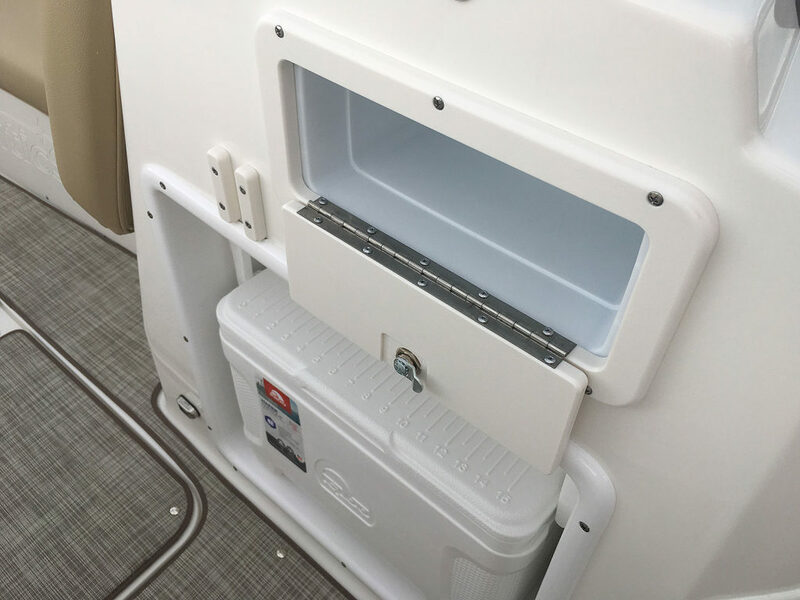 Convenient walk-thru transom with flip-up cushion seat. 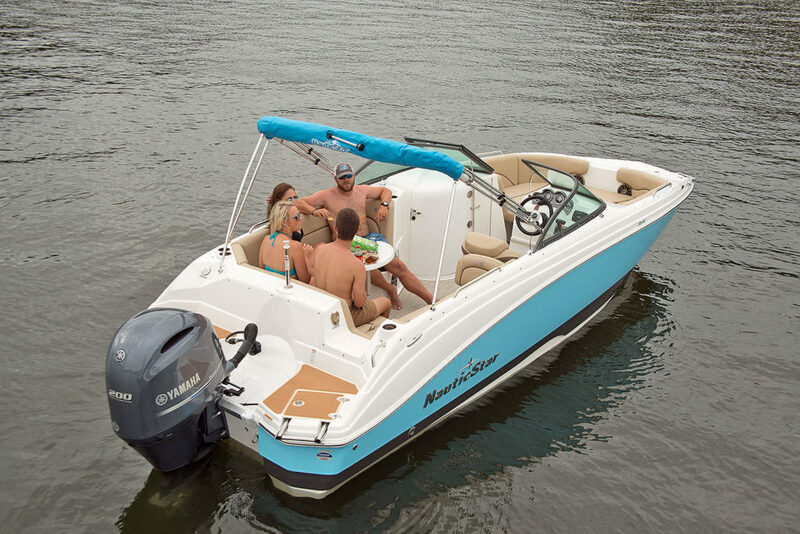 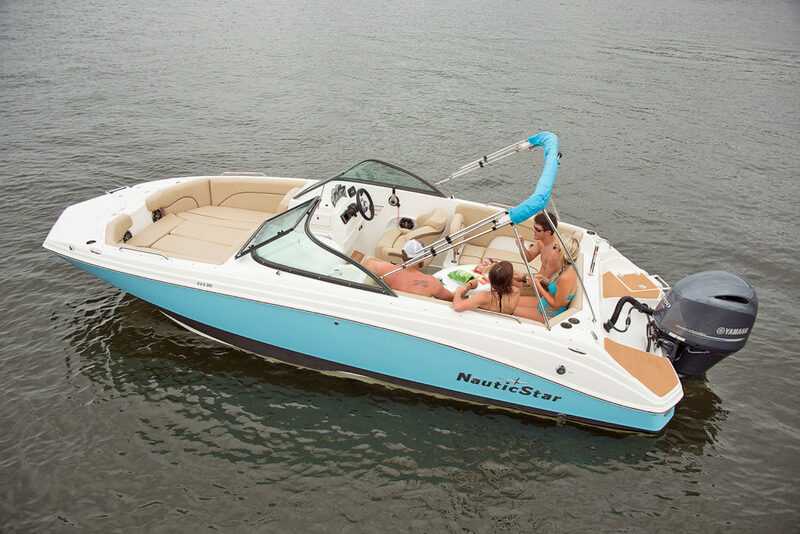 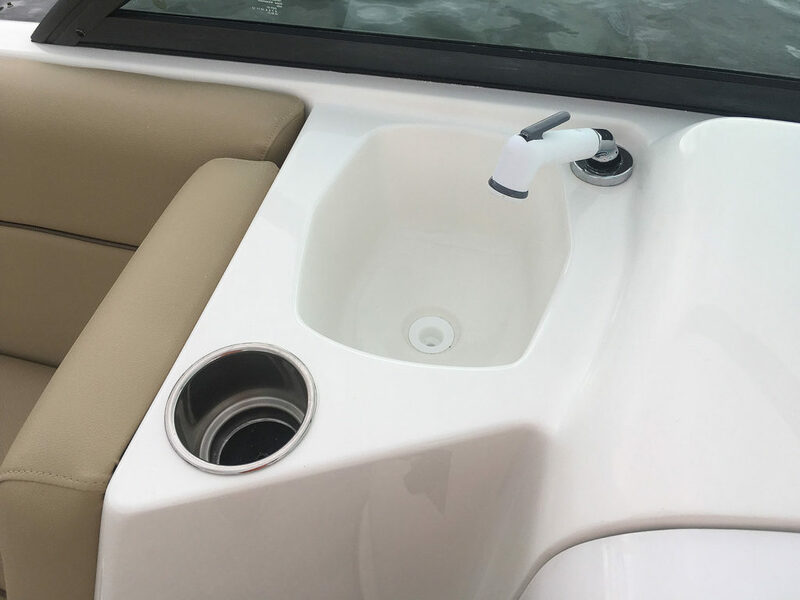 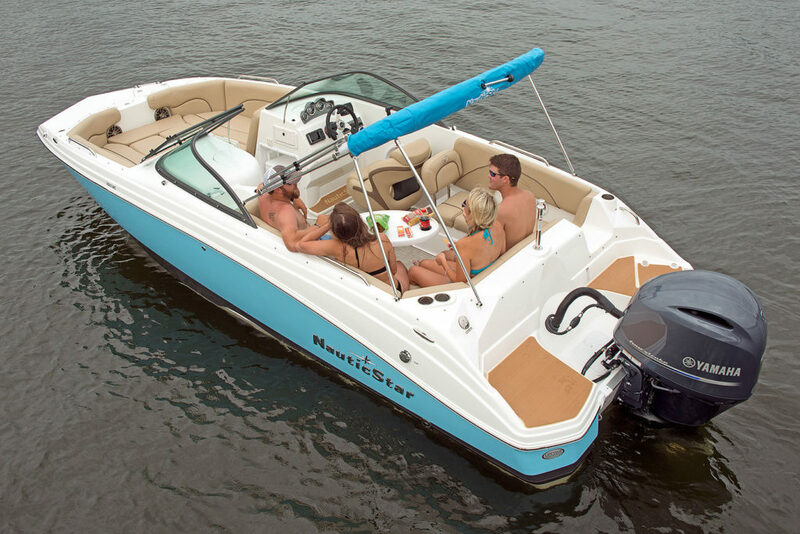 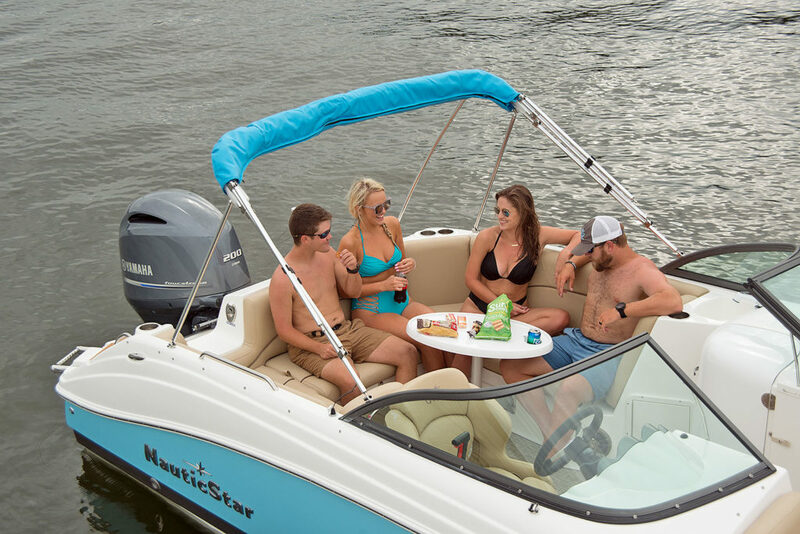 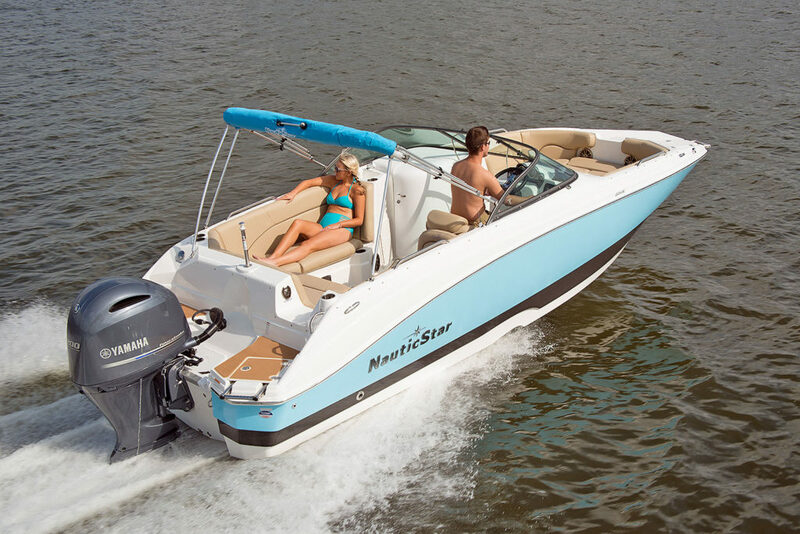 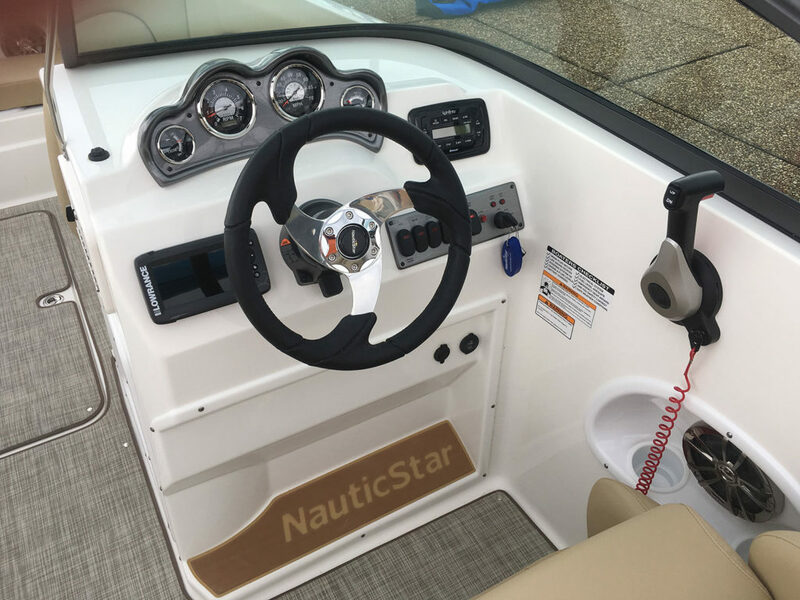 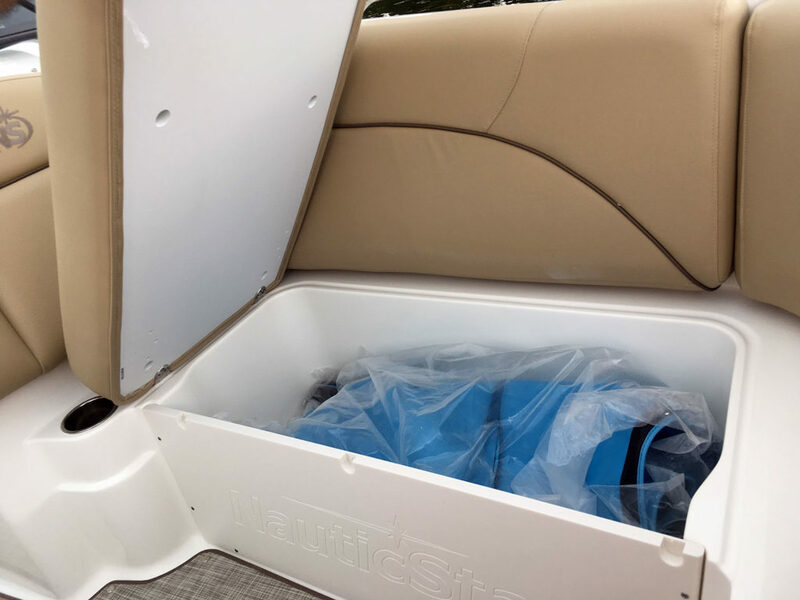 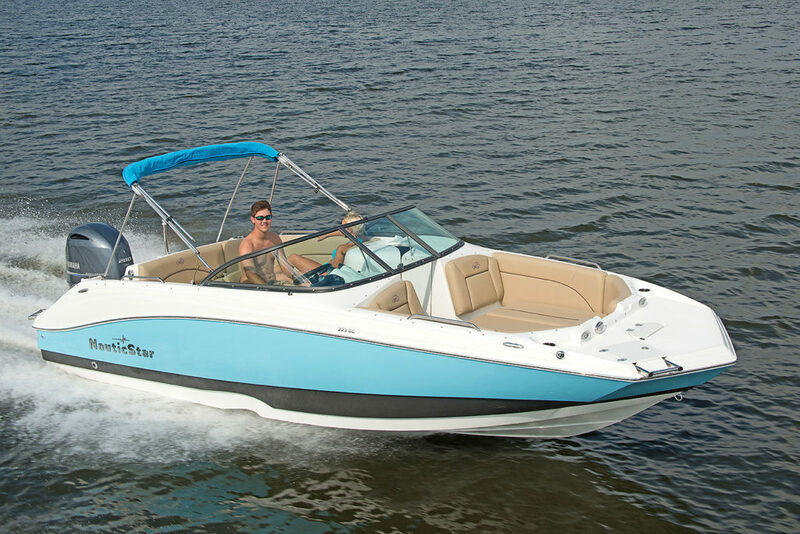 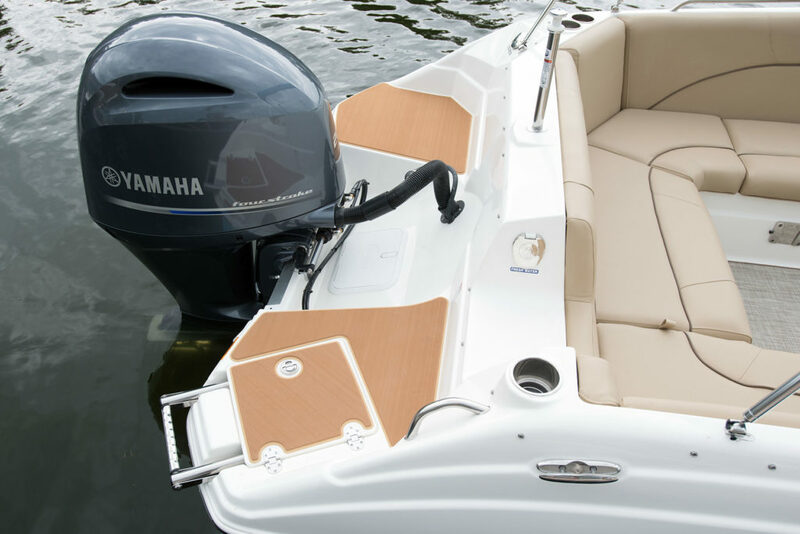 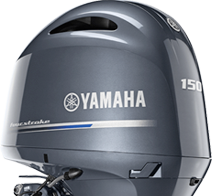 Captain's station with full instruments, Infinity® stereo system with Bluetooth, and optional Garmin depth finder. 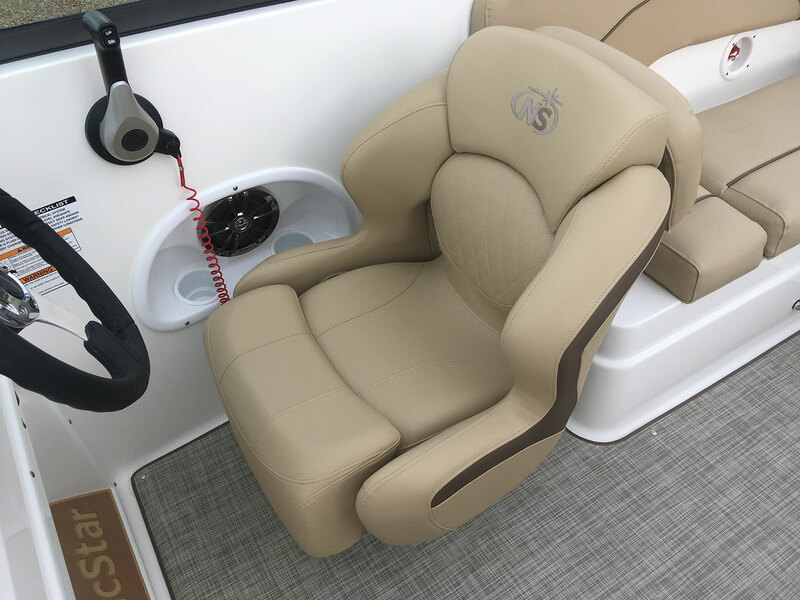 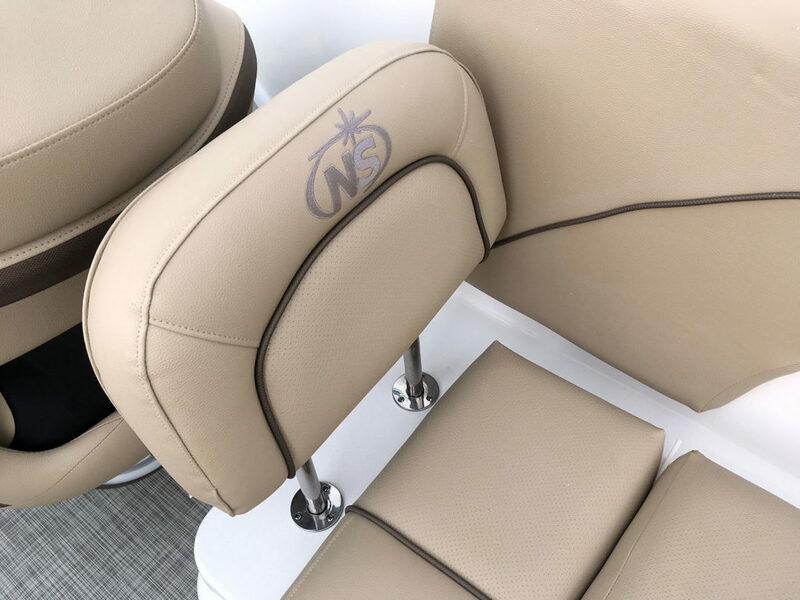 The beautifully styled captain's seat is fully adjustable and has a flip-up/down bolster. 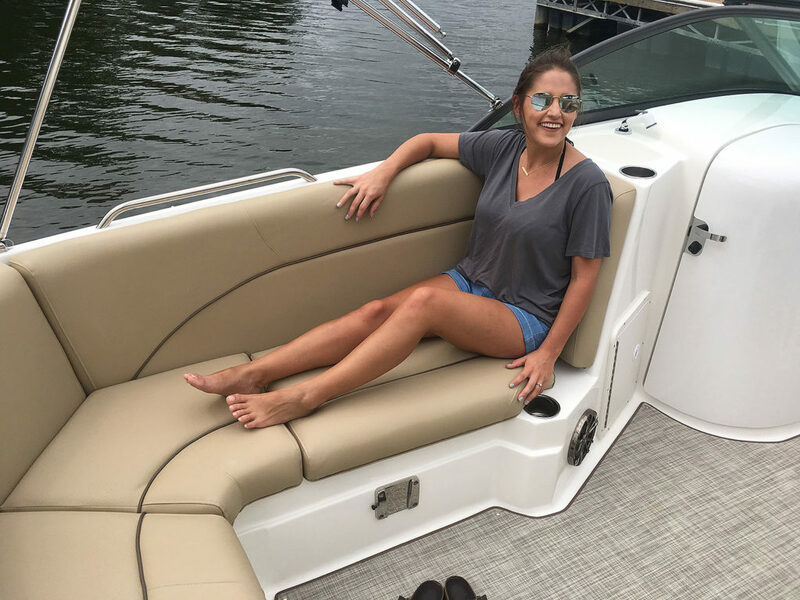 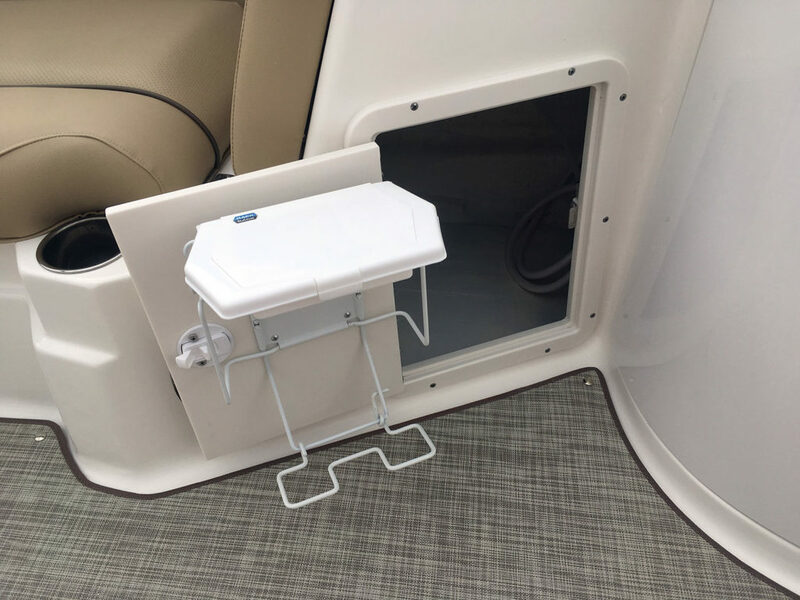 SeaDek® on the transom landing.